Looking for news and information relating to occupational safety and health. You can subscribe to this news feed by clicking the RSS logo below. View our Safety Info page for more news and information on specific safety topics. On May 4, 2015, OSHA published a new standard governing confined spaces in construction. Manholes, crawl spaces, tanks and other confined spaces are not intended for continuous occupancy. They are also difficult to exit in an emergency. People working in confined spaces face life-threatening hazards including toxic substances, electrocutions, explosions and asphyxiation. Last year, two workers were asphyxiated while repairing leaks in a manhole, the second when he went down to save the first – which is not uncommon in cases of asphyxiation in confined spaces. A similar series of fatalities happened here in Arizona last year as well. This new rule will take effect 90 days after the date of publication in the Federal Register (July 2, 2015) in states where jurisdiction and compliance are maintained by Federal OSHA. State Plan States (such as Arizona), are typically given an additional 6 months in which to adopt the new rules. This marks the first time that the construction industry has a confined space rule written specifically for construction and it will impact the way the industry manages work in these spaces. For more information, click on a link below. Stand Tall, Stand Proud and Stand-Down for Fall Safety! WASHINGTON, D.C. — Every day in this country, construction workers fall. One wrong step and they're tumbling down a steeply pitched roof, sliding or dropping off an unstable ladder, or left hanging from a scaffold. The difference between an unexpected stumble and tragedy is simple: fall protection. Falls are the leading cause of death in the construction industry, as hundreds of workers die each year and thousands more suffer catastrophic, debilitating injuries. Yet, lack of proper fall protection remains the most frequently cited violation by the U.S. Department of Labor's Occupational Safety and Health Administration. To recognize this often fatal hazard, tens of thousands of employers and more than a million workers across the country joined OSHA in 2014 for a weeklong Fall Safety Stand-Down, the largest occupational safety event ever held. OSHA hopes to triple these numbers during this year's Fall Safety Stand-Down from May 4-15, 2015. "With the economy on the rebound and housing starts on the rise, now is the time to for all of us to renew our commitment to sending workers home safe every night," said Secretary of Labor Thomas E. Perez. "Last year's Stand-Down showed us what employers and workers sharing that commitment can accomplish. 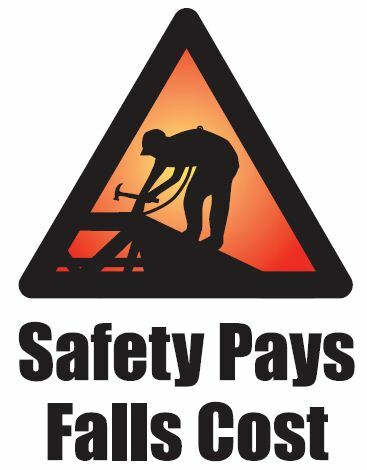 Responsible employers understand that safety is not a luxury — it is a necessity." Building on last year's widespread participation, OSHA has made this year's Stand-Down, a two-week event. From May 4-15, employers and workers will pause during their workday for topic talks, demonstrations and training on how to use safety harnesses, guard rails and other means to protect workers from falls. Underscoring the importance of this effort, industry and business leaders, including universities, labor organizations, and community and faith-based groups, have already begun scheduling 2015 stand-downs in all 50 states and around the world. "Fatal falls and injuries impact workers in all kinds of jobs across the country; it's a broad problem that takes a terrible toll on workers and their families," said Assistant Secretary of Labor for Occupational Safety and Health Dr. David Michaels. "Given the tremendous response we've received, it's clear that this is an important issue to a great number of people across this nation. I know it is, to me and all my colleagues here at the department, which is why we are so pleased to work towards preventing these tragedies through innovative and collaborative efforts like the Stand-Down." The National Fall Safety Stand-Down is part of OSHA's fall prevention campaign, launched three years ago with the National Institute for Occupational Safety and Health, NIOSH's National Occupational Research Agenda and The Center for Construction Research and Training. Additional partners for this year's event include: American Society for Safety Engineers, National Safety Council, National Construction Safety Executives, the United States Air Force, OSHA-approved state plans, state consultation programs, and OSHA Training Institute Education Centers. "No child should lose a parent, no wife should lose a husband and no worker should lose their life in a preventable fall," said NIOSH Director Dr. John Howard. "The Stand-Down serves as an important opportunity for worksites to recognize the hazards that cause them, train employers and workers how to avoid them so that these senseless tragedies can be prevented once and for all." OSHA and partners would like to encourage all workers and employers that face fall hazards on the job to participate in this year's Stand-Down. The newly launched National Safety Stand-Down 2015 Web site provides details on: how to conduct a Stand-Down; receive a certificate of participation; and access free education and training resources, fact sheets and other outreach materials in English and Spanish. It will also include a list of stand-down events free and open to the public, as soon as they become available. Washington, DC - OTI Ed Center meetings from around the United States gathered in Washington, DC this week to get the latest updates from OSHA, including information on new training, standards and enforcement activity. Some of the topics discussed included the new record keeping and reporting requirements, OSHA standards that are in the rule making stage, and other hot topics such as protection of health care workers. ASU Ed Center Director will bring this information back to Arizona and present the updates at several future meetings including the Arizona Chapter of the American Concrete Institute next week in Phoenix, AZ. Click here for more information. Washington, DC - OSHA has published a final rule to extend for three years the employer duty to ensure crane operator competency for construction work, from November 10, 2014, to November 10, 2017. OSHA also is extending the enforcement date for crane operator certification for three years from November 10, 2014, to November 10, 2017. After publishing the final rule for cranes and derricks in construction in 2010, several entities informed OSHA that crane operator certification was insufficient for determining whether an operator could operate their equipment safely on a construction site. After hosting several public meetings addressing this issue, OSHA decided the extension is necessary in order to allow the Agency to examine and determine how to address this issue systematically. Read more about the changes by clicking here to go to the Federal Register Notice. WASHINGTON – The U.S. Department of Labor's Occupational Safety and Health Administration today announced a final rule* requiring employers to notify OSHA when an employee is killed on the job or suffers a work-related hospitalization, amputation or loss of an eye. The rule, which also updates the list of employers partially exempt from OSHA record-keeping requirements, will go into effect on Jan. 1, 2015, for workplaces under federal OSHA jurisdiction. The announcement follows preliminary results from the Bureau of Labor Statistics' 2013 National Census of Fatal Occupational Injuries *. WASHINGTON – The Occupational Safety and Health Administration today announced it will extend the comment period on the proposed rule to improve tracking of workplace injuries and illnesses to Oct. 14, 2014. The proposal , published on Nov. 8, 2013, would amend the agency's recordkeeping regulation to add requirements for the electronic submission of injury and illness information that employers are already required to keep. Individuals interested in submitting comments may do so electronically at http://www.regulations.gov , the federal e-Rulemaking Portal. Comments may also be submitted via mail or facsimile. See the Federal Register notice for details. Its been a very busy July here at our safety education center. Construction is complete on our new building on the main ASU campus in Tempe and we have moved all of our administrative offices to the new College Avenue Commons building. This beautiful new building boasts state of the art classroom facilities, up to date office space, public parking and light rail access and retail & restaurants. We are excited that our program is being housed in the newest building on campus. In the coming months we will schedule courses in the new facility, while we also continue to utilize the ASU Chandler Innovation Center. This facility is also newly constructed through a partnership between ASU and the City of Chandler. With three dedicated classrooms, a computer lab and a hands-on teaching lab, this space fills out our current space needs and when combined with the space available to us in our new College Avenue Commons building, we will have room to grow and expand well into the future. We have been working hard to bring you an improved web site, with new features and easier navigation. If you visit http://osha.asu.edu the first thing you will notice is that you are no longer forwarded to the old asuotiec.org web site address. While that old link will continue to work, we have updated the servers and you will now stay on the osha.asu.eduaddress as you browse the improved site. You will noticed a simplified navigation structure with bold links to help you quickly find the information you need. The site also does a better job of reformatting to fit smaller screens like tablets and phones. But, the biggest web site update is the addition of on-line credit card payments (finally)! Payments are handled by a third party PCI compliant vendor on a secured site, and the entire transaction is seamless from our registration pages. You can pay as you register, or return at any time and pay all of your outstanding invoices at once. Finally, we have made big improvements to our Outreach Trainer Resources. This includes an easier to navigate page with links to new documents and video tutorials, as well as the addition of an automated on-line process to order replacement cards. Beginning immediately, we have now enabled the option on our card request portal to order and pay for replacement cards for your students. Simply go to www.outreachportal.com, log in, select the "Replacement Card" link and choose from a list of previously entered students to request a replacement card any time. We have also lowered the price of replacement cards to $20! We appreciate your continued support and will continue to expand our course offerings and systems throughout the Region. We look forward to seeing you in a future class. ASU's OTI Ed Center is Moving! We are excited to announce that our program's new building has been completed and is ready for occupancy! This new building on ASU's main campus in Tempe is called College Avenue Commons and houses ASU's Del E. Webb School of Construction, SSEBE administrative offices and our OTI Ed Center administrative offices. The building includes state of the art classroom facilities, retail and restaurants on the first and second floors, meeting space and more. Supervisory leadership, management commitment, and employee empowerment were among the most critical indicators of a safety climate, according to a workshop report from the Center for Construction Research Training (CPWR) and the National Institute for Occupational Safety and Health (NIOSH). The workshop on which the report is based, Safety Culture and Climate in Construction: Bridging the Gap Between Research and Practice, was held in June 2013 in Washington, D.C. It was organized to help address the lack of consensus on the definition and measurement of safety culture and safety climate. It was decided that safety culture is innate in an organization, while a safety climate expresses a safety culture at a particular job site and at a particular time. Tempe, AZ - The week of June 2nd - 6th is the National Safety Stand Down. This National Fall Prevention Stand-Down raises awareness of fall hazards in construction and their preventions. Fatalities caused by falls continue to be a leading cause of death for construction workers, accounting for 269 of the 775 construction fatalities recorded in 2012. Learn more about this effort, events in your area, and how you can conduct your own event. Go to our web site at http://osha.asu.edu for more information and to find resources to help you conduct safety and fall prevention training. ASU's OSHA Training Institute Education Center will be at the College Avenue Commons construction site on Wednesday, June 4th from 7:00 am to 9:00 am with Okland Construction. 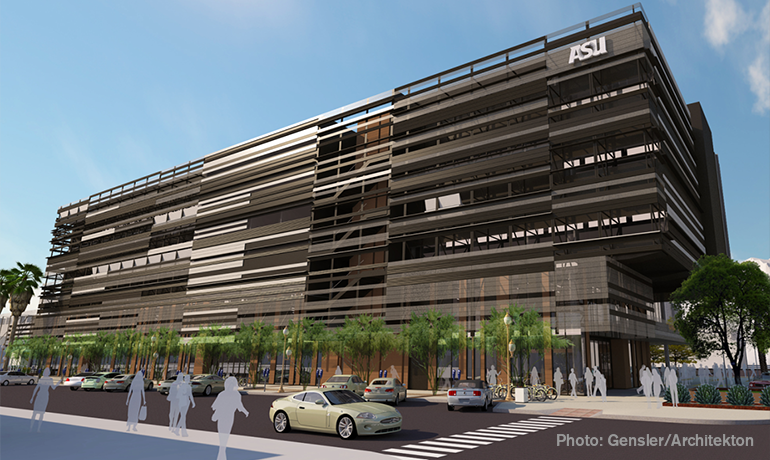 The new building on this site will house ASU's Del E. Webb School of Construction and will become the new home for ASU's OSHA Education Center. General Contractor, Okland Construction, will be coordinating a site wide stand down effort and facilitating safety meetings with all of its trades during the stand down effort. The Area Director for Federal OSHA's Arizona Office will be on hand along with the Director of the Arizona Division of Occupational Safety and Health. For more information on this effort, free training materials and other resources, visit http://osha.asu.edu.